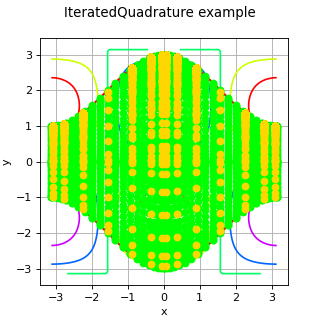 By default, the integration algorithm is the Gauss-Kronrod algorithm (GaussKronrod) with the following parameters: maximumSubIntervals=32, maximumError= and GKRule = G3K7. Note that the default parametrisation of the GaussKronrod class leads to a more precise evaluation of the integral but the cost is greater. 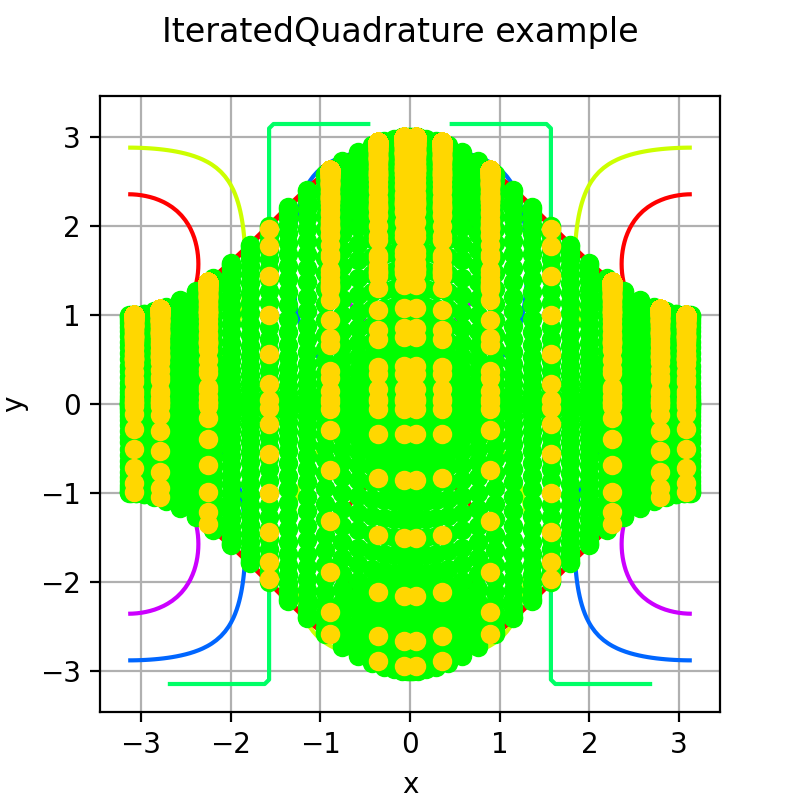 It is recommended to increase the order of the quadratic rule and the number of sub intervals if the integrand or one of the bound functions is smooth but with many oscillations. with , and . For , there is no bound functions and . Evaluation of the integral of on a domain. List of functions and where defining the integration domain as defined above. The bound functions can cross each other.